Mariela said: "The reason I am writing is the my other beloved bookshop, Albion Beatnik from Oxford, one of the few places where you can find such a good selection of books, including European and international writers (all in English). Nice jazz music and a good cup of tea may help people decide what they want to buy. It opens at 11 and I never know when it closes but there are jazz concerts or poetry readings quite often in the evening. I hope you come and see it for yourself one day. This is a real bookshop. It could serve as a synonym to bookshop in the Oxford dictionary." Every once in a while, a recommendation like this leaves us with a smile on our faces. It is nice to see how one person can love a bookstore and this feeling is certainly familiar with many of us, who consider ourselves books(tore) fanatics. 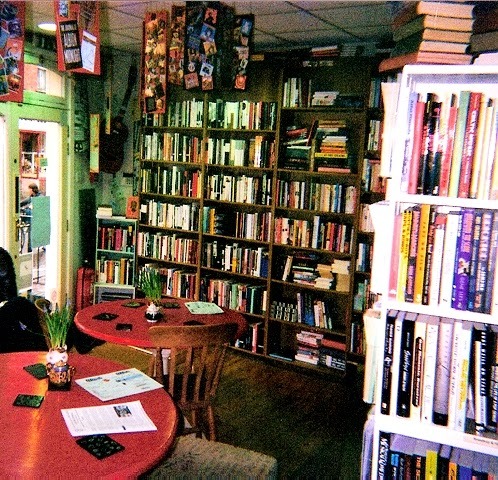 The Albion Beatnik is an independent bookshop located in Jericho, Oxford. The bookstore/cafe offers a diverse collection of titles ranging from American pulp, film theory, jazz (which usually accompanies your audio experience in the store) to Beatnik poetry and other counter-culture stuff. It also offers tea, coffee and cake. 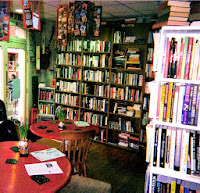 The Albion Beatnik also regularly hosts many concerts, poetry readings, talks and debates. Apparently, there's even a basement where bands rehears and reading groups meet. The bookstore also has an anti-wifi policy, so don't expect you laptop to connect to anything.